The Ministry of Finance ("MOF") issued Circular No 11/2014/TT-BTC (January 17, 2014) providing guidelines on electronic gaming for foreigners. These guidelines also apply to enterprises conducting the business of electronic gaming for foreigners ("Enterprise"), people permitted to play and people permitted to enter and exit a business location offering electronic gaming for foreigners, gaming machines manufacturers, suppliers, testing organisations and relevant individuals and organisations. (3) Cashier areas; areas that convert cash or tokens and store equipment containing cash or tokens. All photos at these positions must be fully archived for a minimum of 30 days. The archiving period may be extended at the request of the competent agencies. The Enterprise may decide on actual numbers of gaming machines, but not exceeding the maximum numbers specified in a certificate of satisfaction of conditions for the business. The Enterprise also may, based on the actual number of gaming machines, select types of gaming machines, forms of electronic games with prizes and the machine ratios. The Enterprise must, within 5 business days after commencing business operations, provide a written report to the MOF and local authorities on the actual quantity and types of gaming machines, forms of games, and machine ratios. Tokens used instead of cash at the business location may be in the forms of chips, cards or slips, conversion points, and other forms replacing cash as determined by the Enterprise. The tokens used as chips, cards or slips contain information on the Enterprise's name or logo, code number and series of the token, par value of the token, the manufacturer or supplier's name and symbol, and other information are subject to the Enterprise's managerial requirements. The Enterprise must, at least five business days before using the tokens, register the tokens with the Department of Finance and the Department of Taxation. If one party disagrees with the resolution decision, the parties may conduct procedures for dispute resolution in the court under Vietnamese civil laws. Evaluation of gaming business requests is conducted by the MOF presiding over coordination with the Ministry of Planning and Investment, the Ministry of Culture, Sports and Tourism, the Ministry of Public Security, the State Bank of Viet Nam and the Provincial People's Committee. The certificate of satisfaction of conditions for gaming businesses is granted to the Enterprise by MOF. The fee for granting or extensions of the certificate is VND150 million (US$7,140). 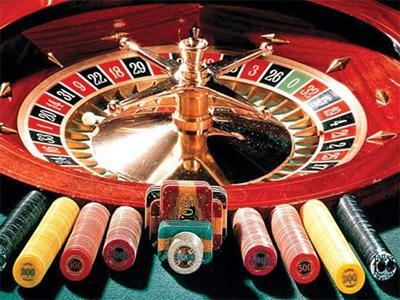 Manufacturers and suppliers of gaming machines and independent testing organisations are permitted to supply the machines or provide the testing services in Viet Nam if they are licensed to operate on the Macau market and have been announced on the website www.dicj.gov.mo. This Circular takes effect on 15 March 2014.